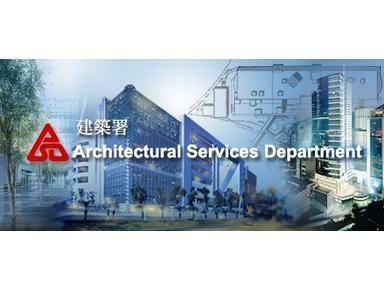 Welcome to the Homepage of Architectural Services Department. We are always at your service. We serve you through procuring and upkeeping public facilities. We strive to deliver quality public facility projects that meet your needs. We stand to promote best practices in our construction industry and advise the Government on policies related to architectural matters. Hong Kong is our home. We are committed to building a quality living environment that is green, sustainable and affordable. To meet future challenges and to make the best use of every opportunity, we would like to engage you as we grow and build our future. Together we care for our community. We have a team of devoted and professional colleagues who work in close partnership with our stakeholders from different sectors of the construction industry, to deliver our mission and to uphold our values. Together we brave future challenges. Improve service capability and organizational effectiveness through organization restructuring, enhanced human resources management, and further development and better utilization of information, communication and knowledge management technology. The 5-year DBP will launch us into a journey of continuous improvement. Your views and feedback will help us achieve these objectives.